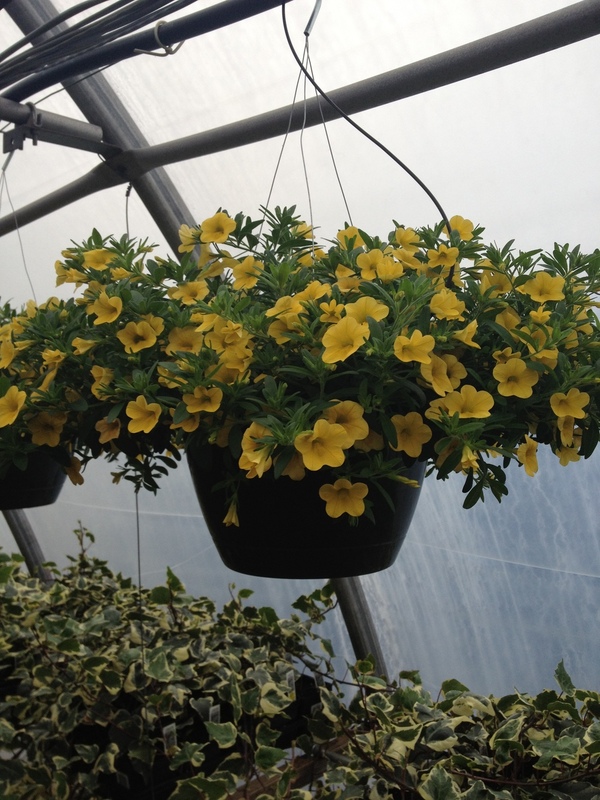 At Schlegel Greenhouse we feature Calibrachoa in a large variety of items. They can be bought in 4.5" pots, 8" sun combo planters, 12" sun combo planters, 10" hanging baskets (in mixed colors), and in 10", 12", and 16" combination baskets. They are an excellent performer through May and June and a very consistent seller.